Fat Cat Honey Ale from Norwich can vary a bit in quality but when it's good it's sensational IMHO. Green Jack Orange Wheat is another firm favourite. 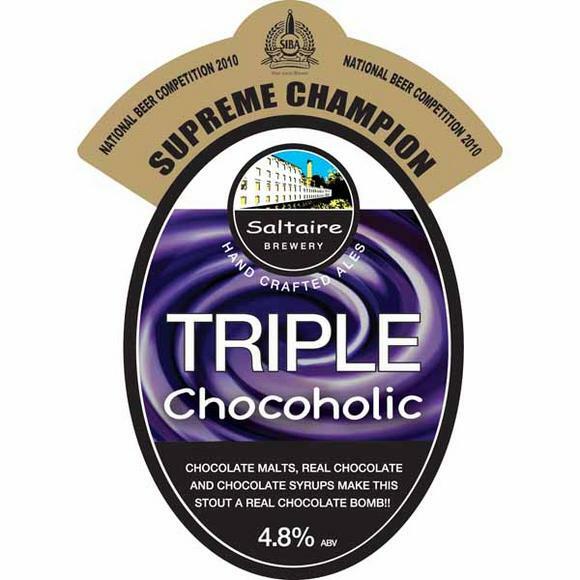 Saltaire do a lot of good beer of this sort. Try their Rasberry Blonde. Their Hazlenut Coffee Porter is a another big favourite of mine. And then there's some of the stuff brewed by Williams Bros.
What about Brookyln BCS? I know that doesnt have any real chocolate in it but does that count? If so, its the best chocolate beer ive ever tasted. A few years ago when I knew I liked beer but didn't know much about it, I always went for ginger beers at festivals. I noticed they had a tendency to sell out fast. Also beers with silly rude names do well, even if they're vile. T'other half was bar-staff at Reading and there was a disgusting (or maybe just VERY off-condition) beer on called "Scutchamer's Knob" [actually named after a place, not just silly], which loads of people were asking for. Anything that makes a beer stand out amongst 300 beers the punter doesn't know will help it sell. I've long thought that it would be good to print ale "tours" for festivals - a "Golden Ales" tour, a "Dark" tour, a "Best of region X" tour etc. etc. - they did something like that at Wandsworth Common once I think. 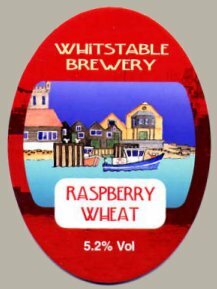 We had the Whitstable Raspberry Wheat on the bar I was on at GBBF. It sold like hot cakes. I think it was mainly drunk by women who'd been dragged along by their boyfriends and are looking for something fruity. It also helped that we were next to BSF. UK fruit beers are a real minefield and are often cack in my experience - especially the paler versions. Having said that I found the Coach House Blueberry Bitter annoyingly enjoyable. Better to stick to the dark side, I think, where there are some very good examples - there was a Damson Porter from Wapping at NWAF this year that garnered great reviews. And let's not forget the Marble Decadence Kriek and Frambozen. Well, Samuel Smith Organic Cherry and Strawberry Ales should probably be mentioned. Although they taste more of fruit jam than beer. T_i_B - Nice to hear a few of your local beers are decent. I haven't had the hazelnut one from Saltaire but really want to as I love hazelnut. Neil - I guess Brooklyn Black Choc Stout kind of counts, though I've never seen it at a beer festival and it isn't British. Zatytom - I resisted bringing up bad names in this post because it would've stretched to twice the length and would've turned nasty in tone! You are right that the name makes some beers stand out and get ordered, especially if people don't know what to order. It's unfortunate that most of these terribly-named beers also taste pretty grim. JC - A few people said the Coach House was a good one but I didn't see or try it. I've had a few decent berry porters but I can't remember who made them. A nice winter beer. bark - Delicious jam-like beers! 1) I rarely am interested in shelling out for a brewery's obligatory wheat-plus-random-fruit-ale at a pub or at home. A beer festival is a good chance to sample without being committed. 2) Along the lines of @zatytom, when you try a blackberry wheat at a stall at a festival, you're getting something that isn't available at the next stall over (that one is strawberry!). They all have IPAs and pale ales. I think wowninjas picked up on a main point you missed Mark. In my experience females tend to go for fruit beers and they work as a good way to wean people off the cider (again a large female following). Fruit beers are a great way for people to get introduced to a new style, then next time offer the same style but without the fruit. 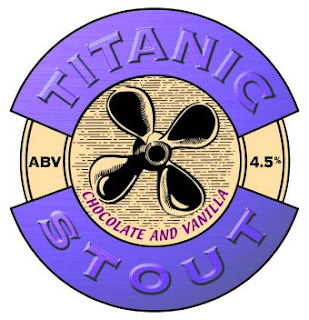 In my experience Waen Blueberry Porter, Titanic C&V stout, Liverpool Organic ditto, Hawkshead Damson & Vanilla Stout, Nook Raspberry Blonde and of course Chocolate Marble have all been excellent. Coach House's Raspberry Bitter was vile, and their Web site suggests that they do a whole range of fruit flavours (including banoffee) - a brewer to avoid, as far as I'm concerned. 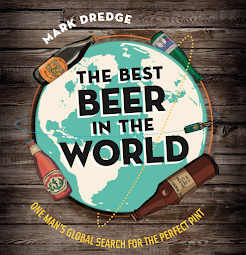 Actually Mark, the only brewery I mentioned earlier who are vaguely local to where I live nowadays is Saltaire. If you want local to me in North Derbyshire, Spire Brewery have opened up a pub very near where I live on Friday and one of their most well known beers is a stout made with peppercorns called "Sgt Pepper". When I visited this pub tonight this was replaced with Mr Grundy's "1814", a blackcurrant stout for those of you who want a stout that tastes of Ribena. Steve - Giving someone who asked for fruit beer some Revelation Cat is asking for trouble! Phil - I had a banoffee beer about 6 years ago and thought it was the best thing I'd EVER taster! 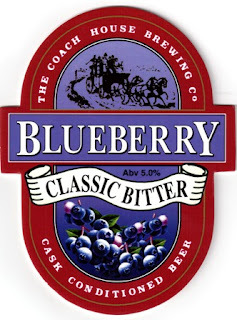 I wonder what I'd think if I had it now... Damson and vanilla stout sounds great. T_i_B - My mistake, apologies - I thought you lived around East Anglia/Essex way. I'll second Phil's shout for the Hawkshead Damson & Vanilla stout. Surprise beer of the festival for Jo and I at last year's SIBA Great Northern. Haven't seen it anywhere else since, but it's bound to be seasonal and damsons are back in season, so you never know, it might make another appearance this year?